They are planned to be held at Ukrainian firing ranges by the end of May. 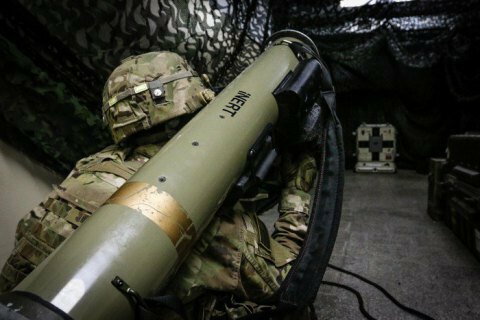 President of Ukraine Petro Poroshenko will attend the tests of US Javelin man-portable antitank missile systems in Ukraine by the end of May, according to his representative in parliament, MP Iryna Lutsenko, has said. "The last two weeks have been fruitful for the president. First of all, the strengthening of US sanctions [against Russia], their continuation and expansion in the EU and Ukraine. The fact that Ukraine was given US Javelins confirms Russia's weakening international position. The Ukrainian president plans to take part in the tests of Javelins at our firing ranges by the end of May 2018," RBC-Ukraine quoted her as saying. Earlier, the US Department of State confirmed the delivery of the Javelin systems to Ukraine. Ukraine was expected to buy 210 Javelin missiles and launchers worth 47m dollars. Later US ambassador Marie Yovanovitch said that the weapons would be supplied at no charge.